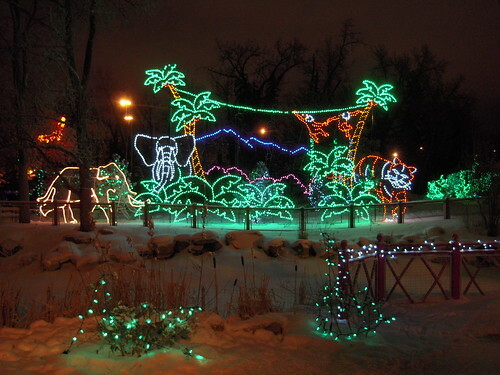 And here is a selection of the remainder of pictures I took in Calgary, all while checking out Zoo Lights with my sister. 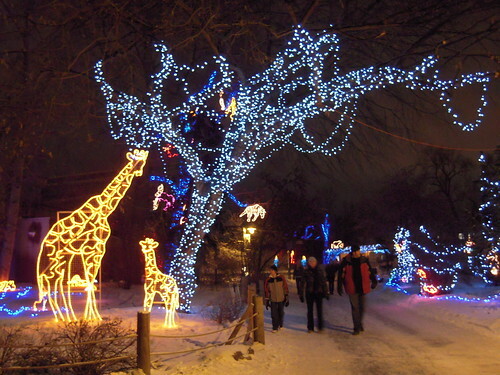 Unlike the show at Van Dusen, the lights at the Calgary Zoo made all sorts of nifty pictures. But they also went for the Van Dusen-style light overkill. 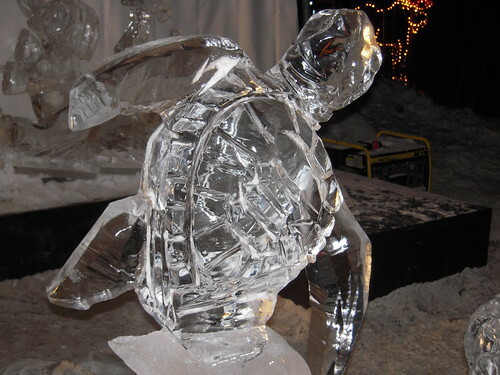 There were ice sculptures. Which were cool. And also very cold — I think it was minus 18 that night. 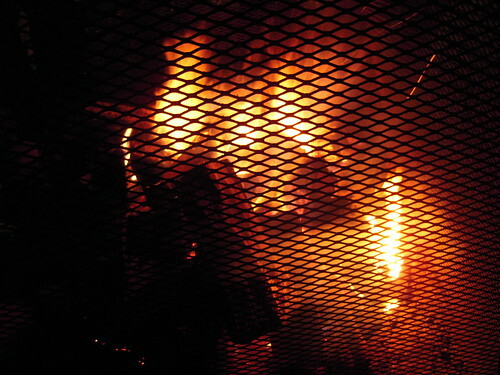 Which was why there were so many fireplaces stationed around the place.